These were made (patterns traced, fabric cut, pants sewn) with lightning speed, in assembly-line style, on the 23rd of December. 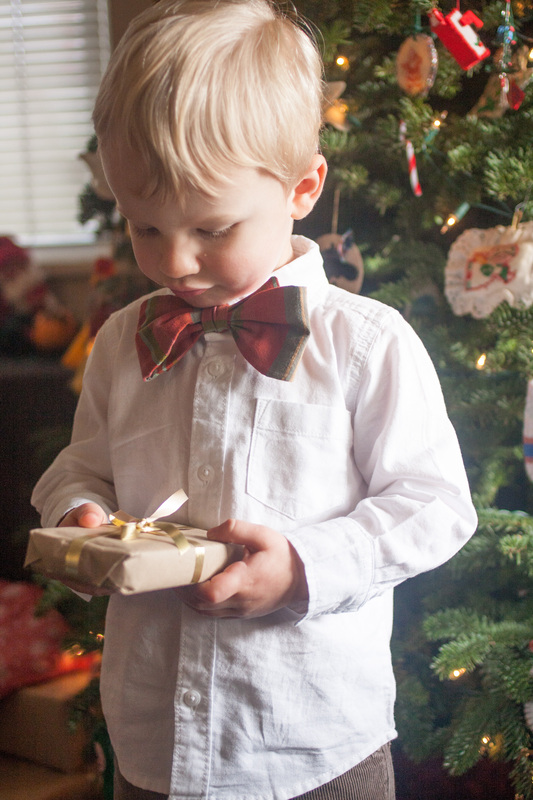 If you’ve left your Christmas Eve pjs to the last minute, this pattern is your friend. 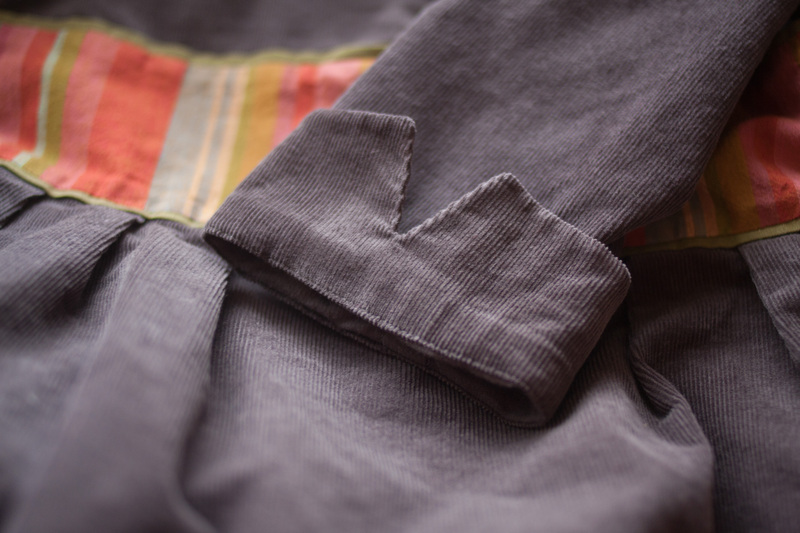 Inseam, Inseam, cuff, cuff, rise, waistband. Done! I bought both kids $4 Old Navy t-shirts and just left them as-is this time (except for the addition of some running stitches on Lila’s pocket) – bare bones, people. PANTS ONLY. 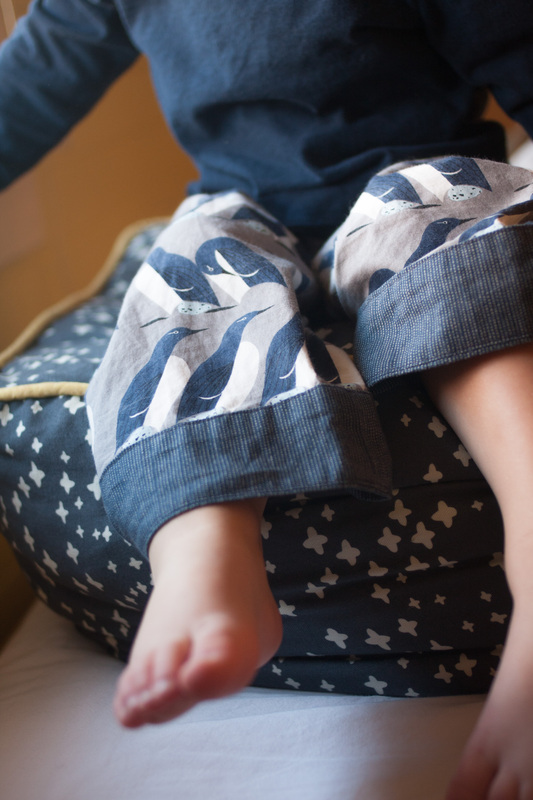 The turquoise birds (Red Eye Vireo) are from Birch Fabric’s first Charley Harper line, and Oscar’s penguins (Murre) are from the new line, Nurture. 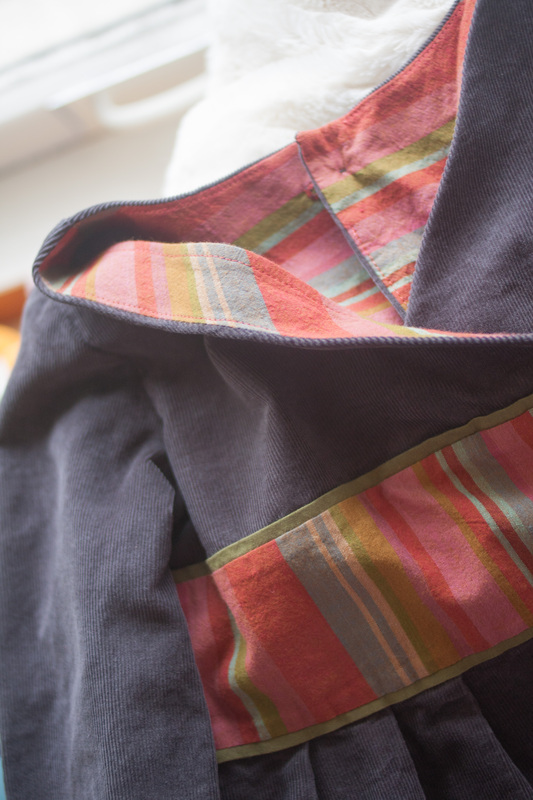 The Birch poplin has such a nice feel and sheen to it – it’s smooth and crisp and a little more substantial than your average quilting cotton…if that makes any sense. There are so many cool prints in these two Charley Harper lines, and you really have to see them up close to fully appreciate them. 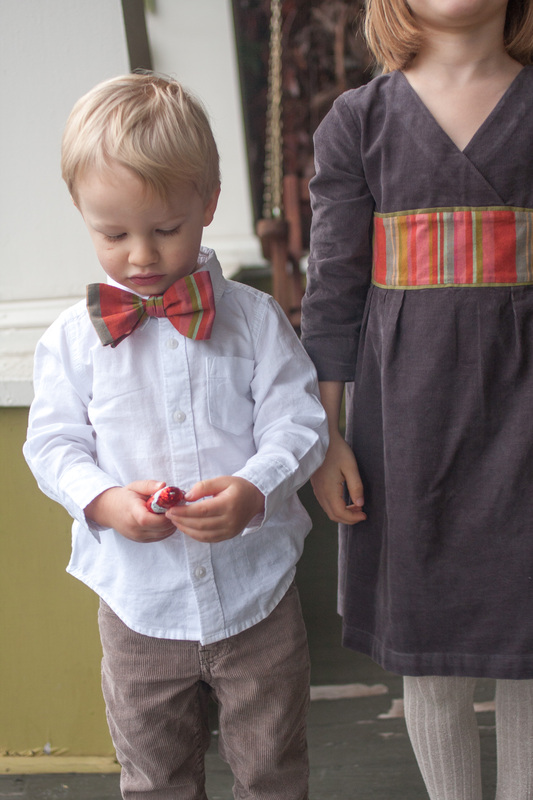 I used Moda’s Indigo Pinstripe for Oscar’s cuffs and waistband, and the green contrast on Lila’s is one of the Cotton + Steel Basics, Dottie in Picnic. 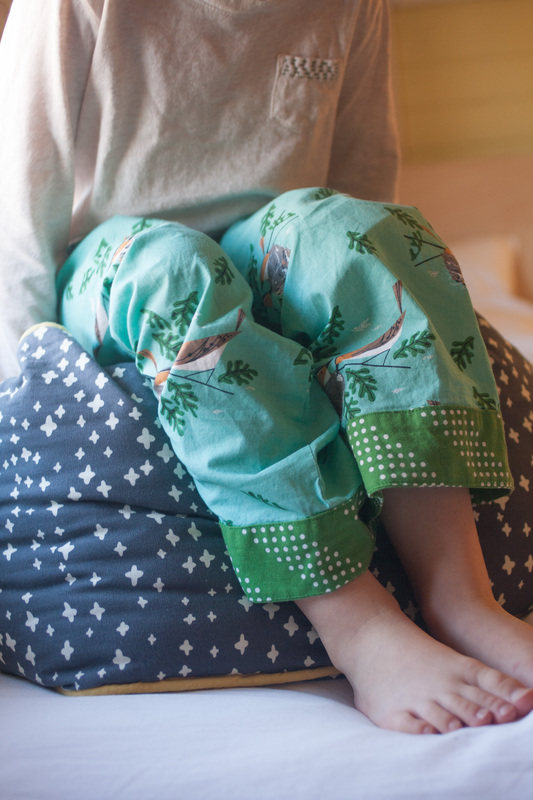 The Oliver + S pajama pants are always a hit around here, but I do feel like I’m in a bit of a rut with them. Next year maybe I’ll try knit pjs (Flashback Skinny Tee + Fancy Pants leggings like Elizabeth’s), or maybe a nightgown (did you see Rachel’s?) for Lila. Or, more likely, it’ll be these again on the eve of the 23rd. For my next installment of “things I didn’t knit” I’d like to introduce you to the bunnies my mom made for this year’s Easter baskets. 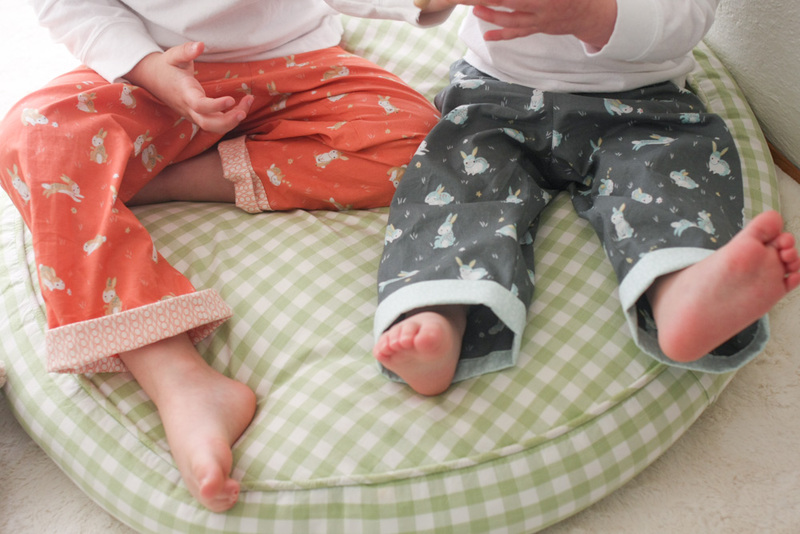 They’re pretty cute on their own, but they also have tiny bunny wardrobes, which of course takes things to a new level. 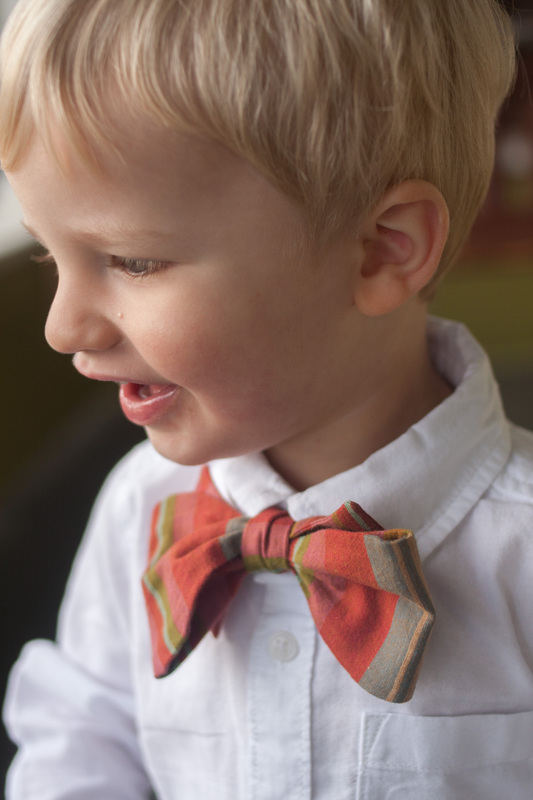 We take dressing up our little friends pretty seriously around here, and we’re having so much fun playing with these. 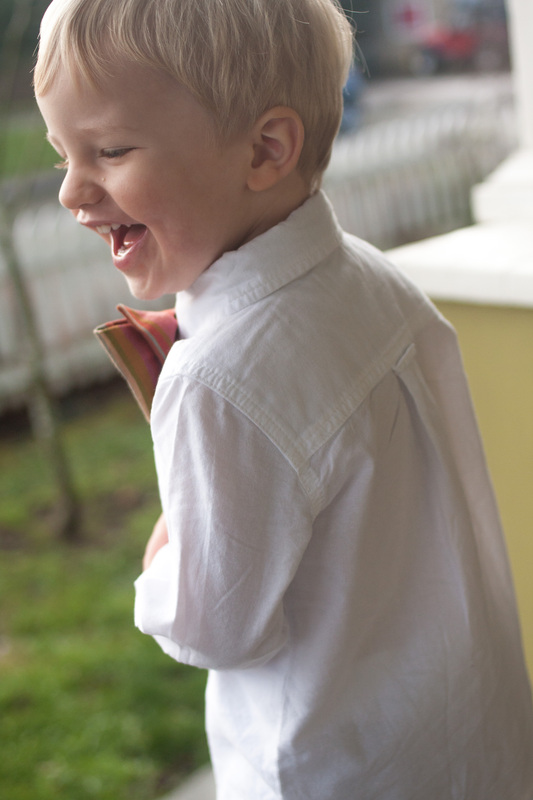 I’m definitely including myself in that “we” – technically there was one bunny for each kid, but you know how it goes. 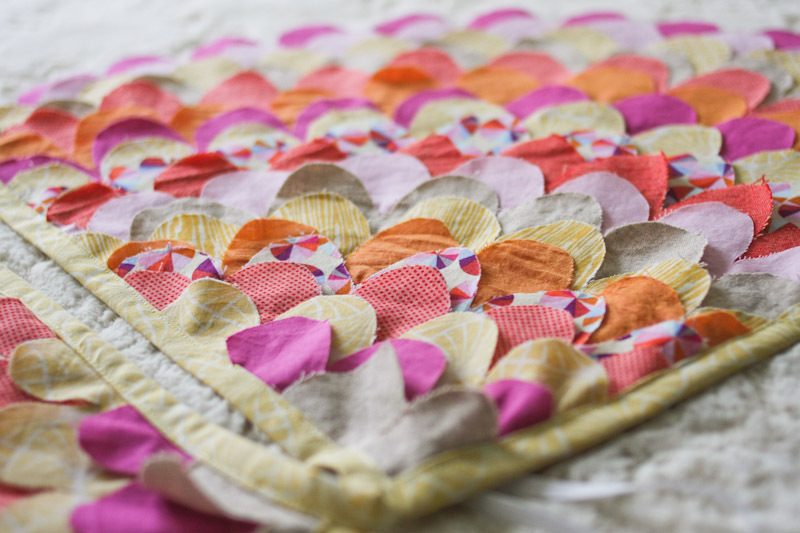 The patterns come from Julie Williams of Little Cotton Rabbits. 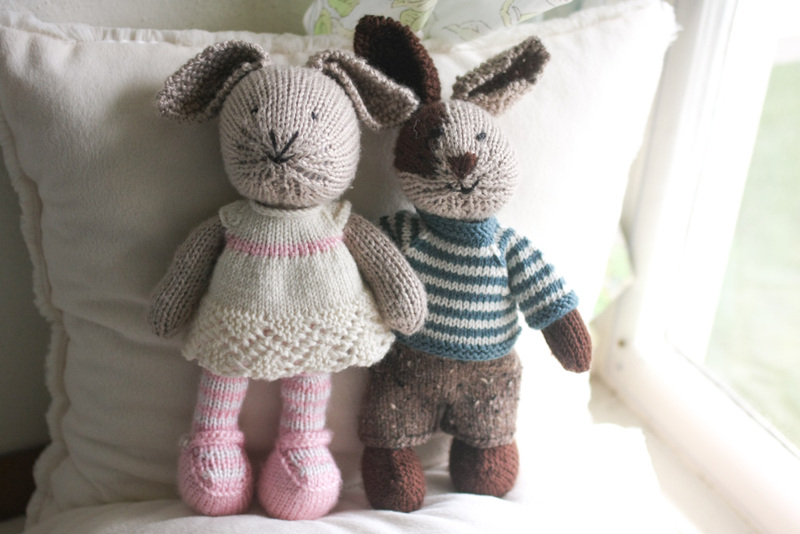 There’s all sorts of adorableness to be seen on her blog and in her Flickr stream (the rabbits! the elephants! the miniature dresses and sweaters!) – I’m in awe of this woman. 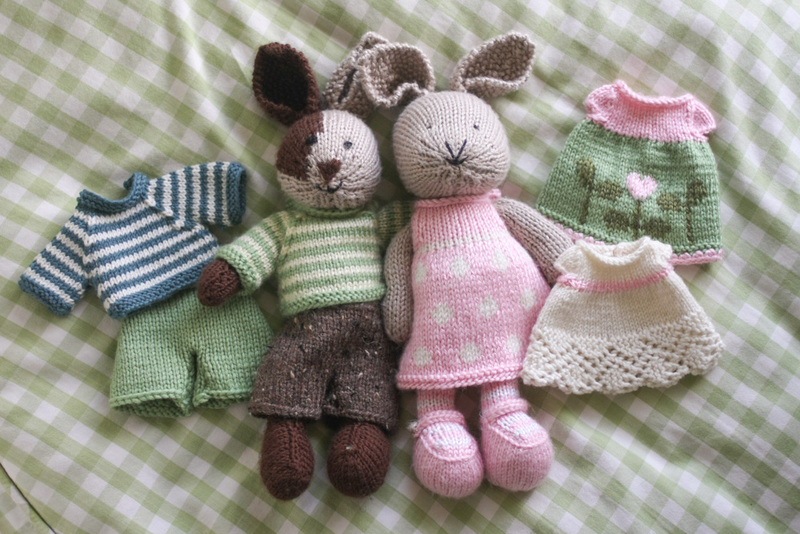 Her knitted animal and dress patterns can be found in her Etsy shop. And she occasionally sells her own creations in the shop, too. That’s all. 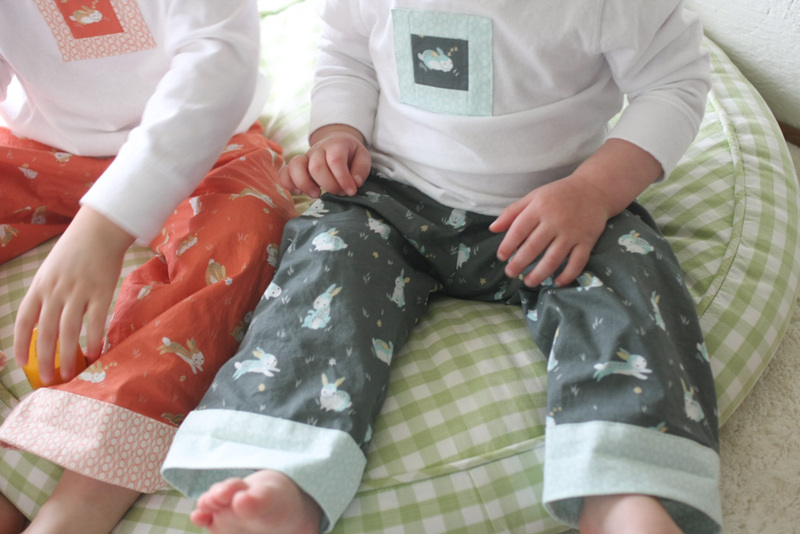 I’ve got my eye on the robin dress next – stay tuned for expanding bunny wardrobes! 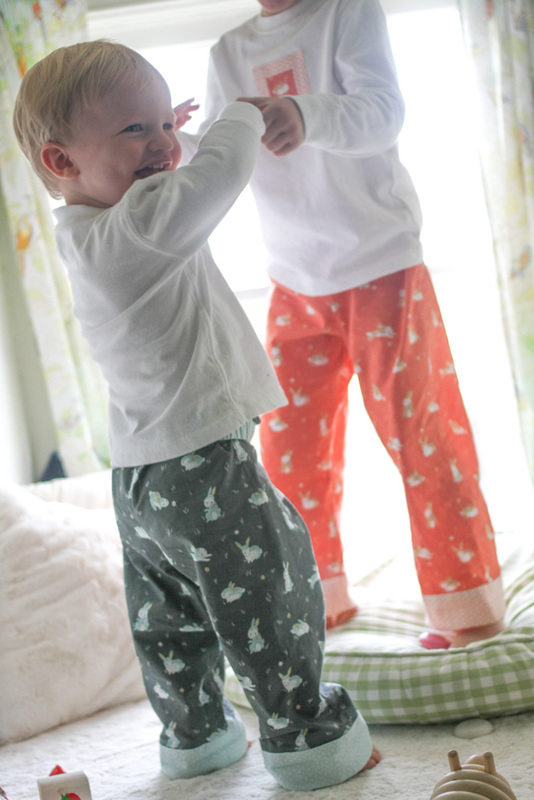 As usual I have many projects on my list for Kids Clothes Week, but OBVIOUSLY my number one priority was brother/sister bunny pajamas for Easter. 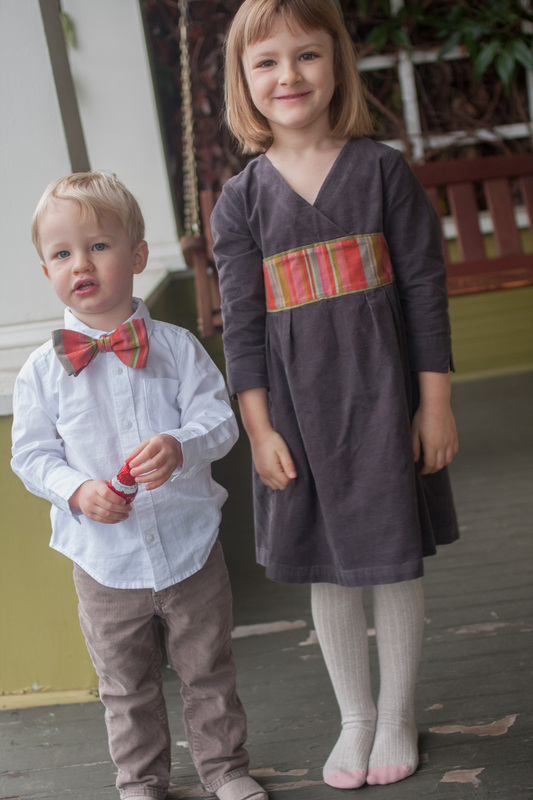 I never pegged myself as the type to sew coordinating anything for my children, but apparently I am exactly that type. 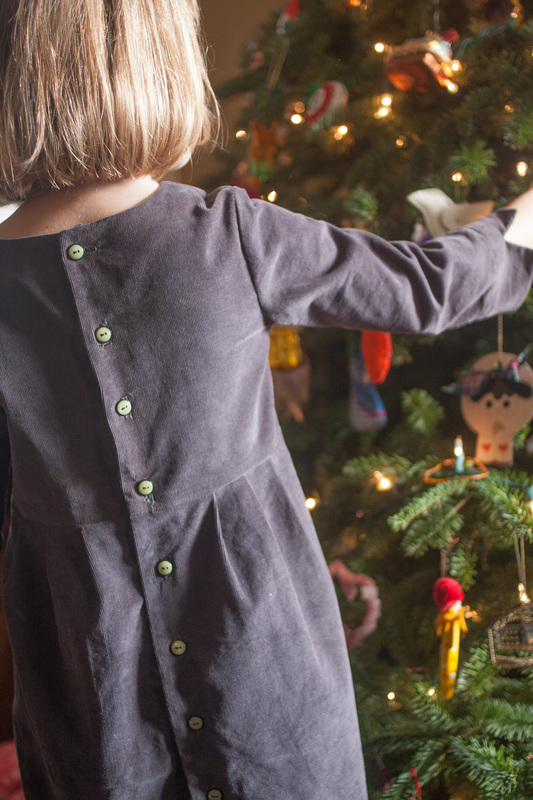 Every year I envision myself making Christmas pajamas, and every year December fills up with other things. In fact the only year I actually made them, they were finished in November. That’s probably the key. Anyway, I found this cute bunny fabric right before the New Year, and fresh with my failure to deliver Christmas pajamas, I snatched it up for Easter pjs. I figured four months of lead time should be enough to make it happen. 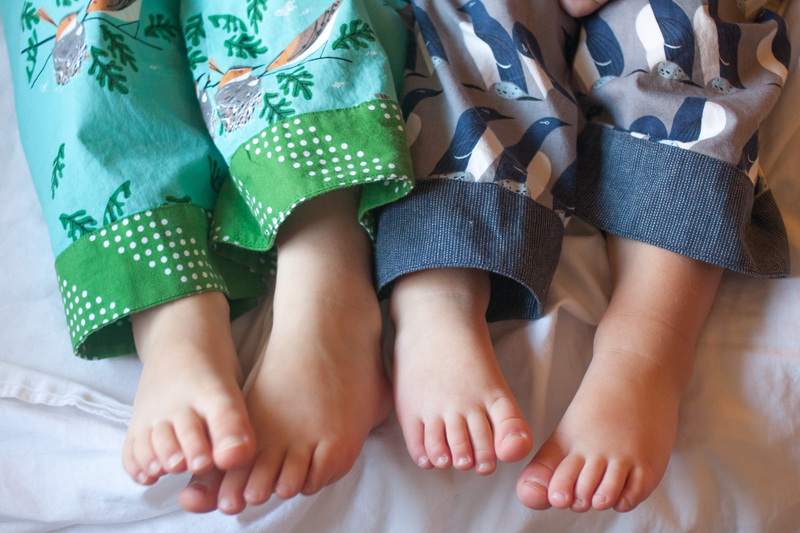 The pants are made with the Oliver + S Sleepover Pajamas pattern. 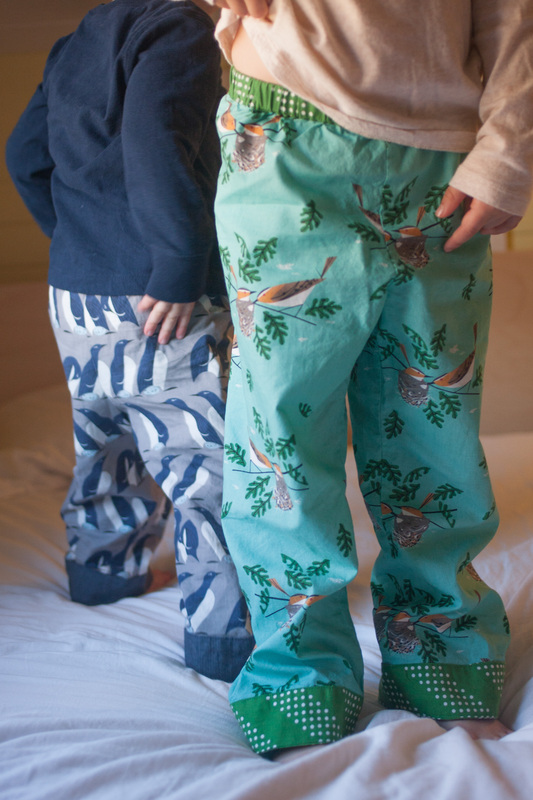 Oscar’s are size 18-24 months and came out pretty big, but I’m not concerned – they’ll probably fit tomorrow. He is huge for his age and just keeps on gettin’ huger. 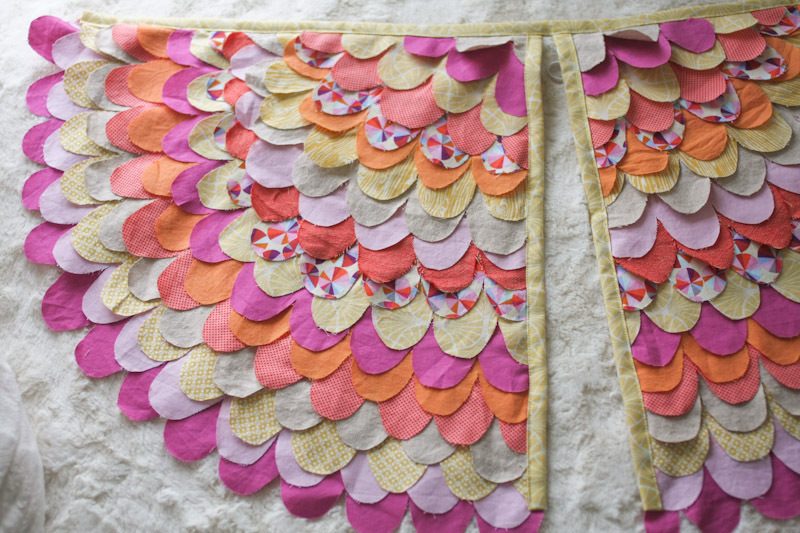 And I would’ve preferred to make Lila’s in a 5 (her last pair were 4s), but since I only have the smaller size range in this pattern I used the 4 and added a 1/2 inch to the rise and another 1/2 inch to the legs, which worked out just fine. 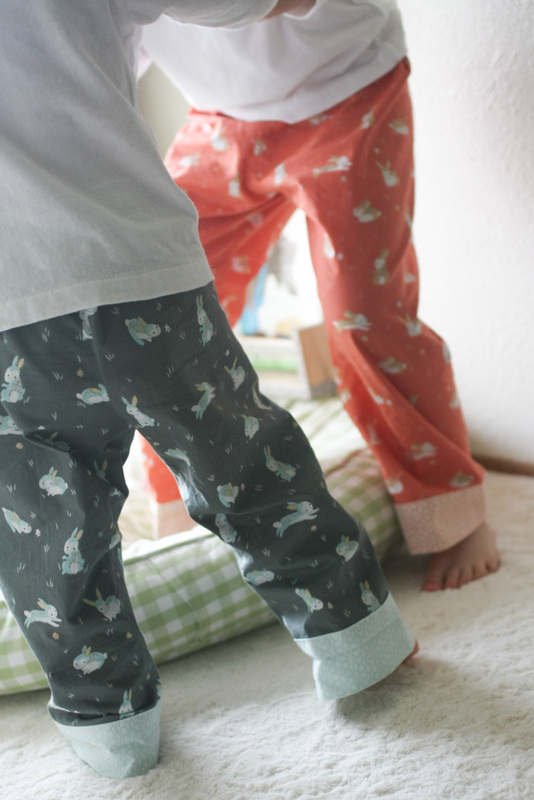 I like that the cuffs on the Sleepover Pajamas can be rolled up or let down for a more adjustable fit. 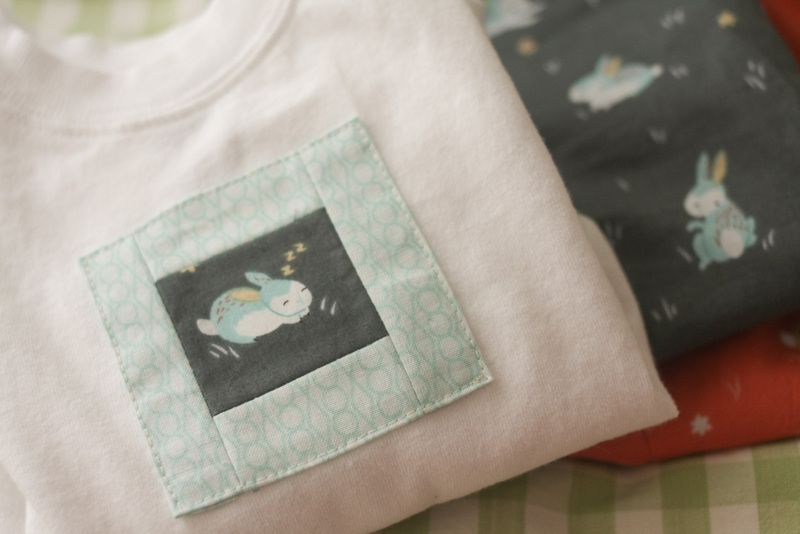 I used Old Navy t-shirts for the tops, and added snoozing bunny patches. 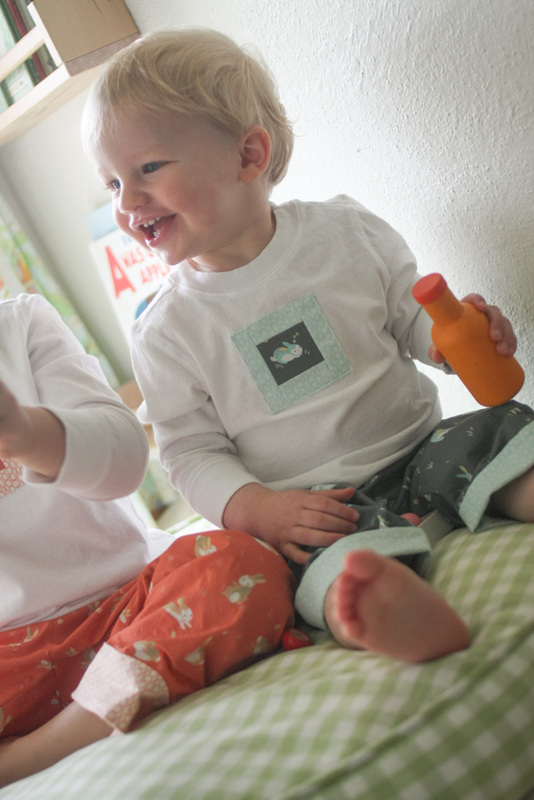 T-shirts are easy enough to make, but at $4 a pop, they sure are easy to buy, too. 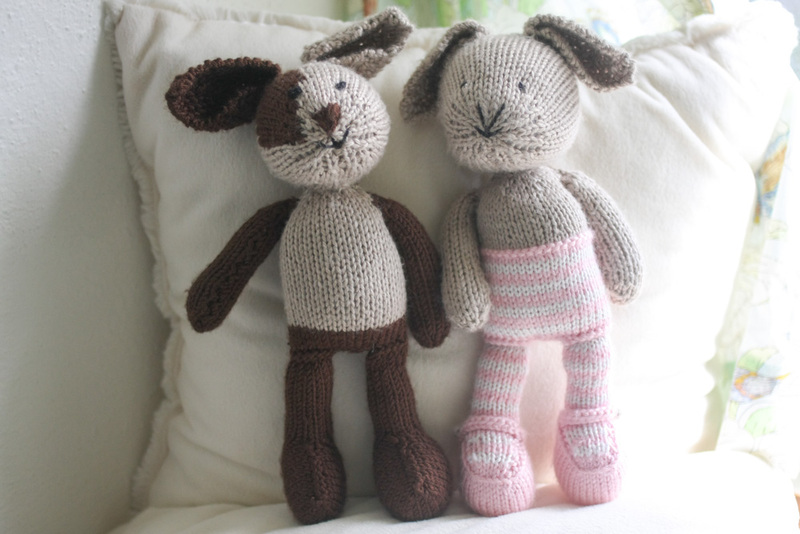 The bunnies (Bunny Brigade from Critter Patch Organic) are from Clothworks and were designed by Alyssa Thomas of Penguin & Fish. So that explains why they’re so cute. Just like her embroidery patterns. 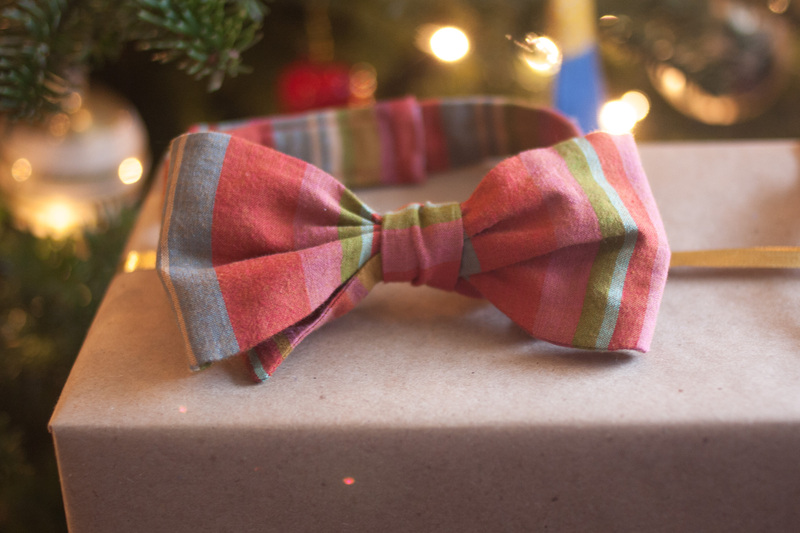 The cuffs and waistbands are Lizzy House’s Jewels in Aqua and Peach. 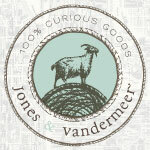 I hope to finish at least one more project this week – in the meantime I’ll be perusing everyone else’s KCW creations! 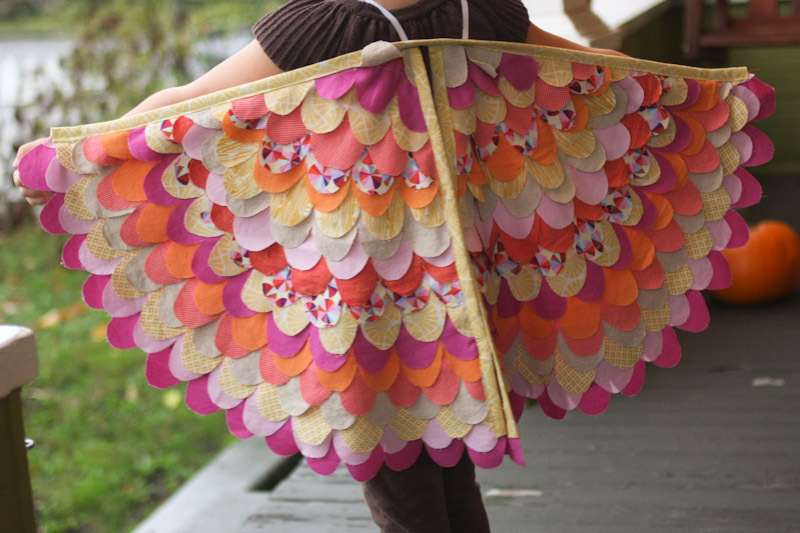 I saw this post on Prudent Baby last year and I’ve been daydreaming about making bird wings ever since. 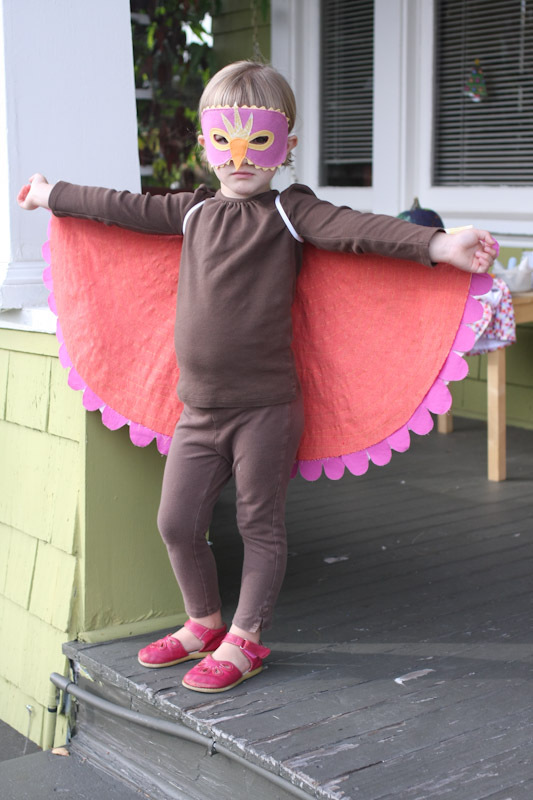 Luckily Lila made no specific requests for a Halloween costume, so I was able to steer her in the direction of “bird” pretty easily. 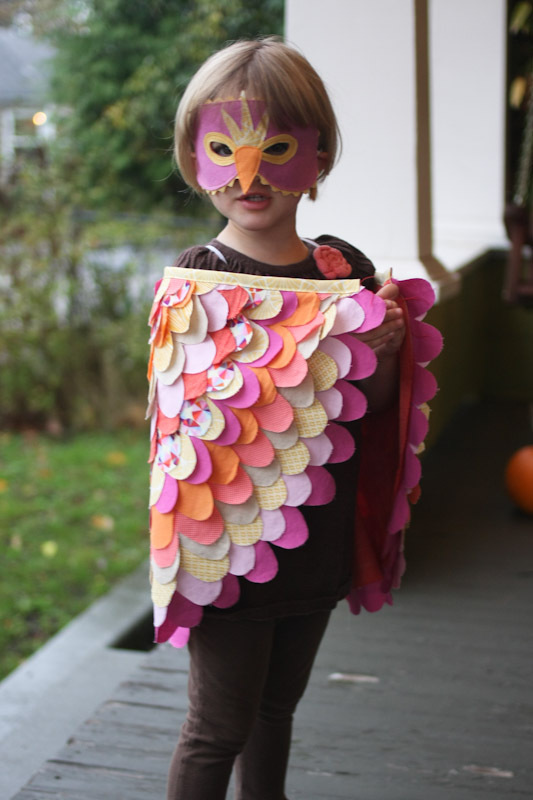 I had a hard time getting motivated and came close to ditching the idea of a handmade costume, but once I got started, it was a totally pleasant project – time consuming with all that feather cutting, but straightforward and easy. 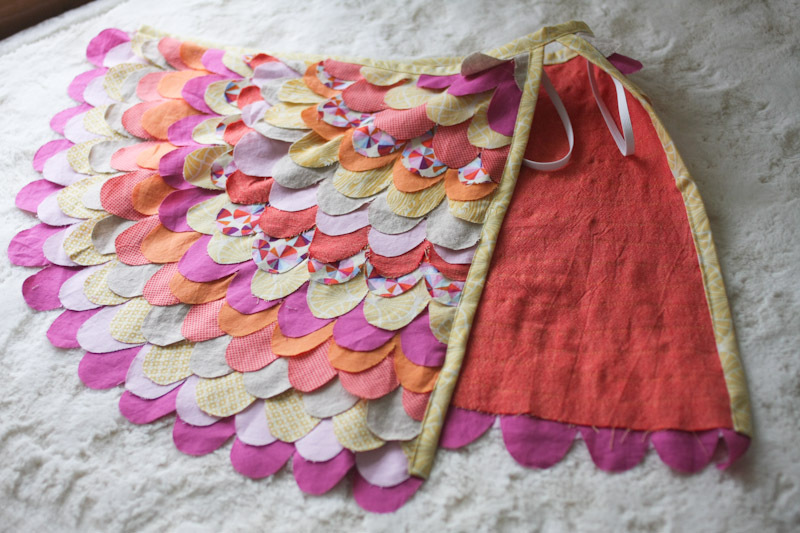 And choosing the fabrics was the most fun…per usual. I used this tutorial from Llevo el Invierno for the wings, and just made a few changes. 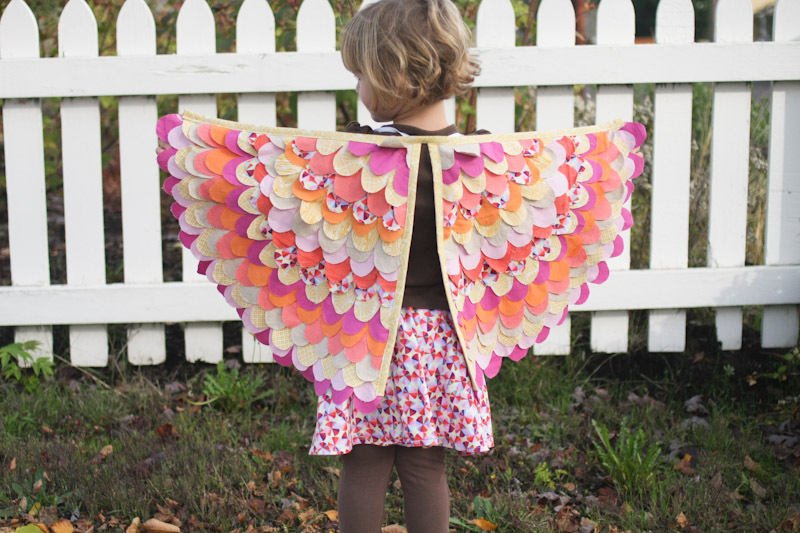 After measuring Lila’s “wingspan” I decided to add a few inches to each wing (the directions say they’ll fit 18 months to age 3, but it doesn’t hurt to measure and cut accordingly). So my wings are 15 x 15 inches, rather than 13 x 13. 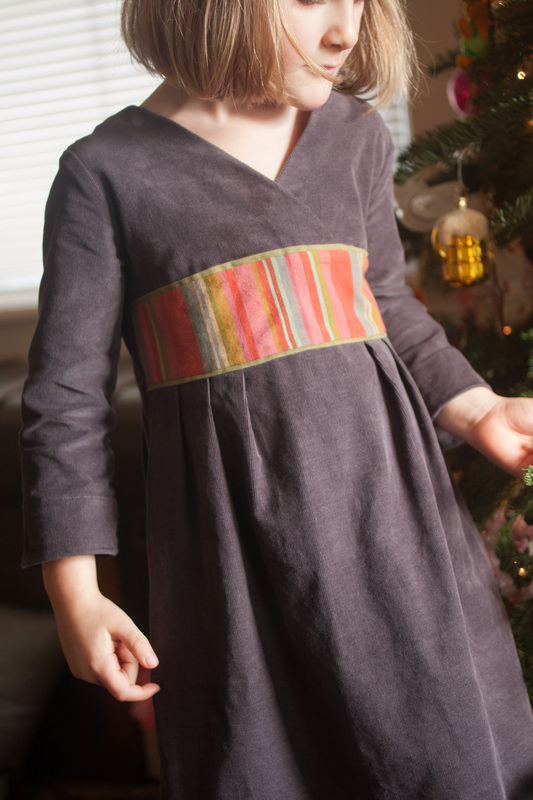 I added 1/4 inch elastic loops instead of finger ties, and instead of tying at the neck, I attached elastic shoulder straps under the top binding so that she can get into them herself. I also bound the side edges along with the top, just to clean things up a bit. 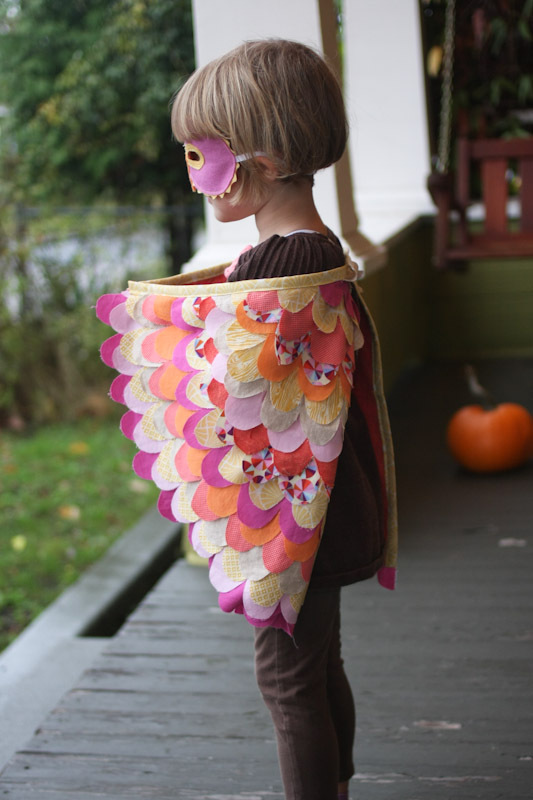 And a felt bird mask to finish things off. 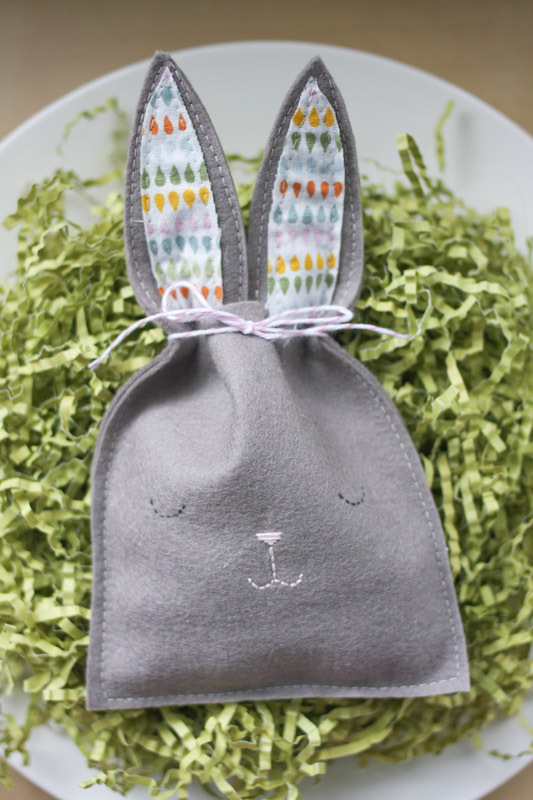 I saw this pin pop up all over the place yesterday, which led me to Mer Mag’s “Easy Bunny Candy Pouch” – and before I knew it I had some felt bunny pouches of my own. 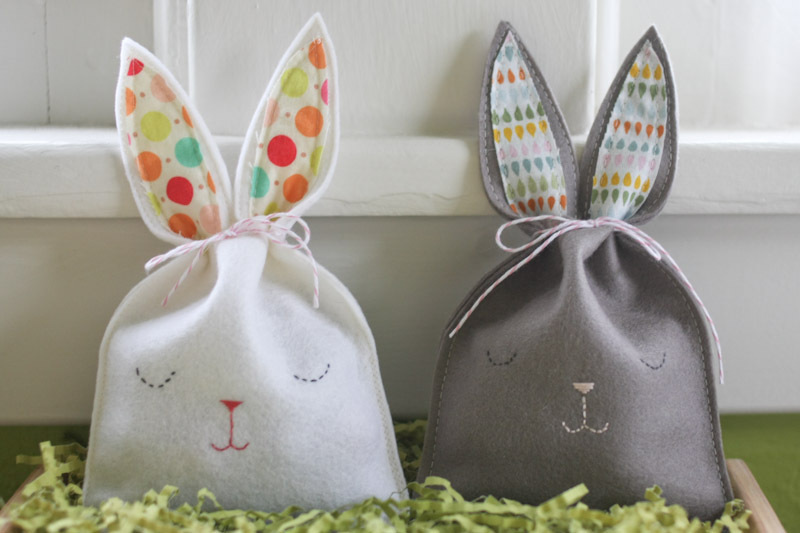 It was exactly the kind of project I was in the mood for – there’s a printable template, I had all the supplies on hand, and each little pouch took about 10 minutes from start to finish. 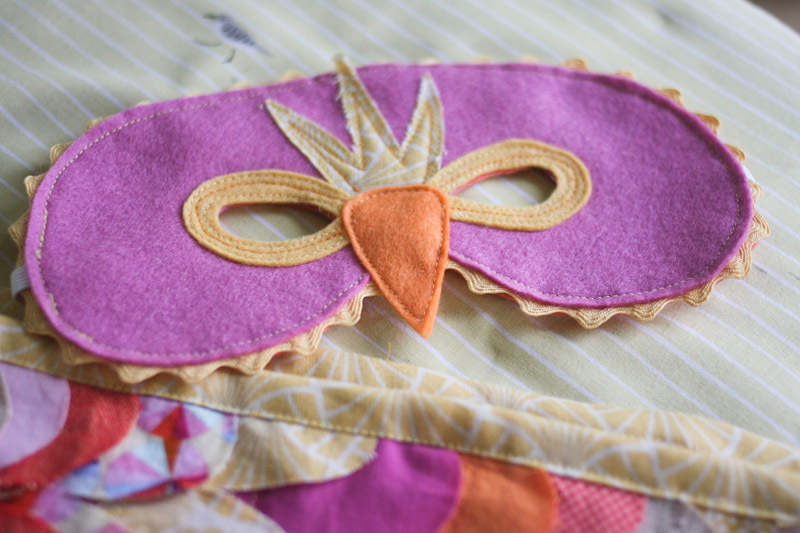 Embroidering the bunny faces was fun, and you can customize them any way you like – I used the sleepy eyes from the template and added a little mouth, then cut some fabric scraps for inside the ears. 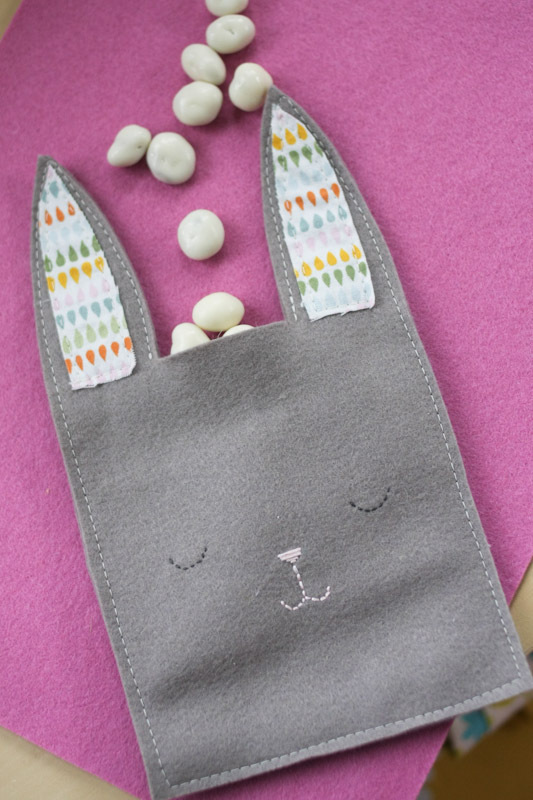 These were so simple to make – cut out a back and front, stitch the little face, and sew the two pieces together, leaving a gap between the ears so you can fill it with treats. Then tie the ears together, and your bunny pouch is complete! 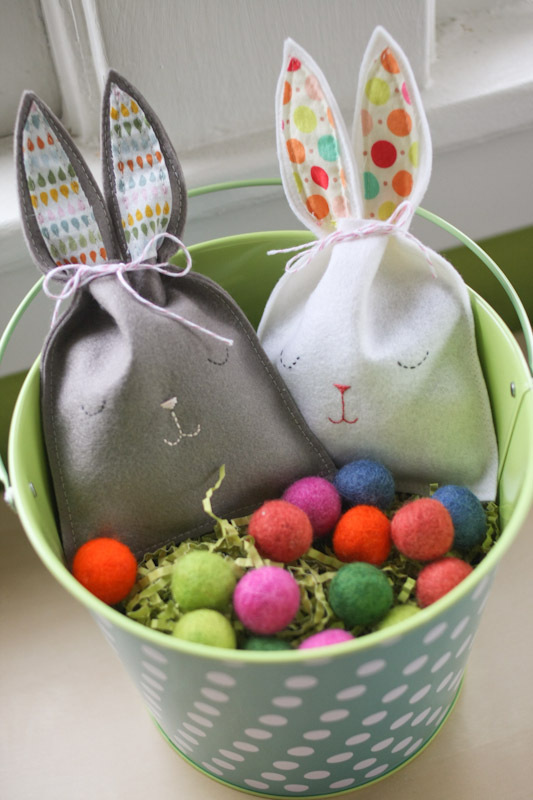 I haven’t shopped for Easter treats yet so I plumped up the pouches with felt balls for the purposes of these photos. I’m hoping to come up with something besides candy to stick inside – Lila has her first dentist appointment tomorrow and I’m a little nervous…she definitely inherited my sweet tooth. But even if it’s not candy, I think it’ll be fun to get these out every year and fill them with some sort of treat. Here’s another link to the original bunny pouch post, where you can find the template and instructions. 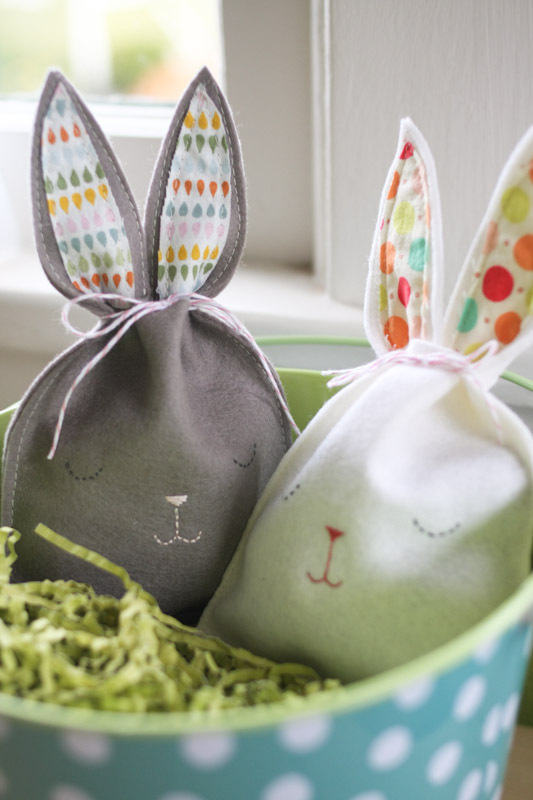 They’re so quick – there’s still plenty of time before Easter to make one (or a whole slew of them) if you’re in the mood!